﻿ Floor Samples Gives You The Best Industrial Floor Lamps At A Budget! Get the best Industrial floor lamps for your Industrial living room! Today we have a couple of floor lighting pieces that are part of Floor Samples are chosen for our article. We will give you two lighting pieces that are part of this online store that features premium lighting pieces at discount price! SEE ALSO: What’s Hot On Pinterest Get A Scandinavian Dining Room With Us! This industrial living room features the more luxurious and modern look of the classic Industrial style. This living room features more of a modern look with traces of the classic Industrial style. Let’s focus on industrial floor lamps that could pair alongside this type of decor. Ike floor lamp is the perfect luxurious industrial floor lamp that any Industrial living room would love having. Featuring a premium look and feel, Ike is one of the best industrial floor lamps at uplifting an Industrial room. 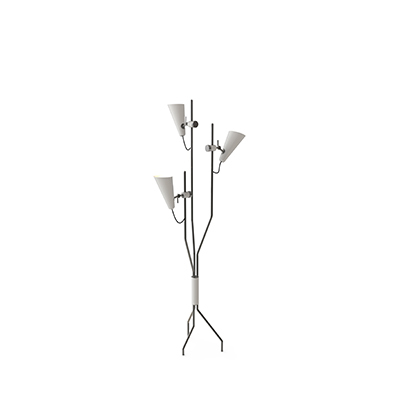 A marriage between Northern design philosophies and southern taste, Ike floor lamp is the best of both worlds. Ike floor lamp has an-all brass body paired with a mix between an all-brass and all-aluminum shade. Diana floor lamp is one of the most classic and perfect representation of most industrial floor lamps. A simple yet intricate floor lighting piece that can be paired with almost any modern interior décor without compromising the whole aesthetic. 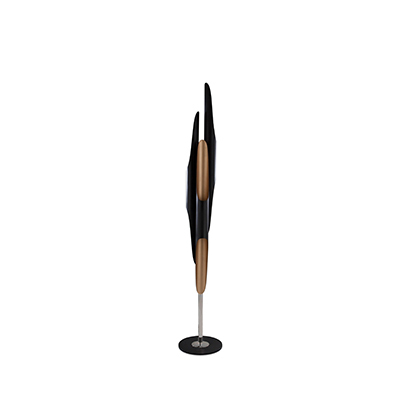 Diana floor lamp is an interesting and simple DelightFULL piece. The Diana collection is praised for their easily customizable and versatile pieces. Influenced by modern jazz singer Diana Krall.